Michel van der Bel, chief operating officer of Microsoft China, has revealed to the Chinese local media that due to policy limit in China, Microsoft's Xbox 360 video game console and the newly-developed Kinect controller-free gaming device will not be sold in the Chinese mainland market. However, Microsoft displayed the new Kinect-based games to its Chinese channel partners and Xie Enwei, general manager for the developer platform evangelism of Microsoft Greater China, said that Microsoft has been implementing the "multi-screen, one cloud" strategy and the company pays great attention to the capacity of its products. As a sample of Microsoft's cloud service, the Xbox will bring new experiences to users. 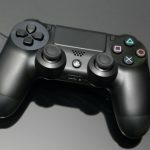 On June 15, 2000, the Chinese government issued a special "management advice" about premises that were engaged in the operating of video games and stated that since the issuance of the advice, all manufacturing and sales activities of video game devices, parts and accessories targeting the Chinese market should be immediately stopped. This rule also blocked the plans of Sony, who was about to launch its PS2 video game console in China. However, many Chinese video game lovers still can buy video games devices made by Microsoft, Sony, and Nintendo. When asked about whether Microsoft plans to discuss this policy with the related Chinese government department, Michel van der Bel told local media that as an international company, it is important for Microsoft to obey the local laws and rules. Originally known as Project Natal, Microsoft's controller-free gaming device Kinect for Xbox 360 was launched on June 14, 2010, and is expected to be put into the market in November this year with the retail price of about USD150. Based around a webcam-style add-on peripheral for the Xbox 360 console, it enables users to control and interact with the Xbox 360 without the need to touch a game controller, but through a natural user interface using gestures, spoken commands, or presented objects and images. The project is aimed at broadening the Xbox 360's audience beyond its typical gamer base.